The EU as a Marxian Project, or is it the economy, stupid ? The Zollverein, or German customs union, was a scheme promoted by Prussia in the wake of the Napoleonic adventure, aimed at facilitating the greater economic integration of the patchwork or mosaic of sovereign kingdoms, States, principalities, duchies, independent City-States and archbishoprics which together had made up the Holy Roman Empire of the German nation. Begun in 1818 initially on the basis of territories directly controlled by the Hohenzollerns, Prussia’s ruling dynasty, it expanded over the next 50 years to encompass the vast bulk of the German-speaking territories of Mitteleuropa, with the exception of Austria-Hungary. By 1871 this German Economic and Monetary Union had become a full political union, with the territories within the Zollverein (other than the Grand Duchy of Luxembourg) merging to form the German Reich. In the aftermath of the devastation wreaked within Europe by World War II (or the ‘Second European Civil War’ as the enthusiastically communautaire would have it) it was proposed that there be established – at least, among the democratic-capitalist successor States of post-War Europe – a new 20th-century customs union or Zollverein. And it is this European customs union or Zollverein that remains the nucleus of what is now the European Union project. Moreover, it was within the context of creating and sustaining this European customs union that EU law was developed to ensure the protection of the four freedoms – of workers, goods, services and capital – throughout the new customs-free area serving also as a Cold War bulwark against the spread of communism in post-War Europe. 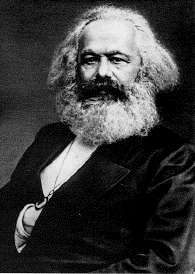 From one (perhaps paradoxical) perspective on what some might consider to be the ultimate capitalist venture, it might be said that the European Union project is based on a classic Marxian (Karl’s, not Groucho’s) analysis of human relations and society, in that it presupposes that economics will ultimately determine politics. Thus if one successfully creates a fully economically integrated cross-border customs union in Europe, national politics will eventually wither away, to be replaced by a new supra-national European polity. Where the single internal market leads, the people(s) will follow. Given the (political) importance of the goal of economic integration, so much of the orthodox presentation of EU law focuses on its cross-border commercial aspects, creating the conditions for the free movement of goods, services, workers and capital across national borders, and ensuring the possibilities for undistorted competition within the single European market thereby created to take place. But one of the purposes of this blog is to highlight that while such an analysis of EU law is necessary, it is most certainly not sufficient for a proper appreciation of the scope and ambitions of the EU project which – as is plain from the Preamble to and opening Articles of the post-Lisbon Treaty on European Union (TEU) – avowedly now seek to embody values greater than simply those of homo oeconomicus. Instead, in the words of Article 2 TEU, the EU is ‘founded on the values of respect for human dignity, freedom, democracy, equality, the rule of law and respect for human rights’, seeking, as Article 3(1) TEU claims, to ‘promote peace, its values and the well-being of its peoples’. It is against such a philosophical-economic background that the many EU law measures can best be understood. Provisions such as the Commercial Agents Directive or the Directive concerning the payment of Statutory Interest on Commercial Debts, seek, in the name of ‘fairness’ and ‘social protection’, to ameliorate the harshness of the commercial market by importing into its operation a regulatory bias in favour of those seen to be economically weaker and hence otherwise exploitable. The EU thereby seeks to create not a free market, but a commonly regulated one. This entry was posted in Discussion and Debate and tagged Aidan O'Neill by eutopialaw. Bookmark the permalink. The EU is commonly portrayed as an economic project, by comparison to which its ‘social’ side is frequently neglected. I wholeheartedly agree with the view expressed here subject, perhaps, to one important caveat – Marxism or historical materialism is rightly no longer ignores as a framework for socio-political analysis but the term is too grand to describe much of the entirely laudatory meliorist legislation coming out of Brussels. Replace ‘Marxian’ with ‘social-democratic’ in so far as the limited social-democratic objectives of EU social legislation is concerned and I think the motivation and political culture in mainland Western and southern Europe is capture slightly more accurately. EU legislation in health & safety, employment or social and welfare law reflect the fact that France, Germany, the Benelux countries and Scandinavia on the whole never embraced the neo-liberal ideology prevalent in the US and UK for much of the last thirty years. It reflects the fact that most governments in these countries believed in a higher standard of protection for the employed and unemployed than neo-liberal governments elsewhere. There is another aspect in which the term ‘Marxian’ may suggest too high a standard of political awareness amongst the EU’s leaders. Perhaps the most ‘tragic’ mistake of the political left in Europe has been the belief that social progress can be transnational and the solidarity must be both international as well national and that the welfare state can be compatible with widespread immigration especially from outside Europe, economic re-distribution within the EU and beyond, multiculturalism, an open non-protectionist economy and financial de-regulation as well as extensive and far-reaching individual rights. Unfortunately the compatibility of welfare provision and at least some of these things is far from obvious. Marx and Engels had a heightened and arrogant sense of more or less advanced nations, and above all of tragic necessities in human affairs. Social democracy. And neither does the EU. I agree with much that is said in this comment. But It has to be said that I consciously used the term “Marxian” rather than “Marxist” to highlight the idea that the EU implicitly employs Marx’s analysis that economics determines politics. Social democracy, by contrast, is predicated on politics determining economics. It may well be that the Marxian and the social democrat seek the same ends of a paternalist human rights sensitive polity marked by considerations of social solidarity. My point is that they choose different means – the EU Marxian by centrally conceived (economic) regulation; the social democrat by means of the ballot box in national elections. Bismarck, of course, tried to defeat social democracy by meliorist state action and he too tried to reinforce political ends and reinforce patriosm through social legislation. I agree, something of this kind is present in the project of European integration as well. The difference, however, is that in Germany’s case national union had preceded social reform, and whatever the level of regional attachment and dynastic fragmentation a sense of common identity based on common culture and language had existed despite political disintegration and a layer of French cultural hegemony over parts of the aristocracy. Such a sense of common idenitity does not exist to anything like the same extent in the EU. Nations exist which are largely based on common commitment to certain political ideals rather than cultural or linguistic homogeneity. There are not many successful examples. Switzerland and the US. Switzerland is not neo-liberal but its internal welfare state rests on a morally questionable status as tax haven to the rest of the world, the US has until recently been able to offer most people a better life than whey come from. Switzerland is, and the US is (still) rich. Without wealth and opportunity the US could have never developed a strong common ideology. Europe is not rich, and ‘Marxian’ regulation may not be enough. I agree, however, the idea that political results may be achieved by careful central regulation is a cardinal ingredient of the project. My point is that it will be enougth because the Union has grown too large, too poor, and there are too many disparate objectives.